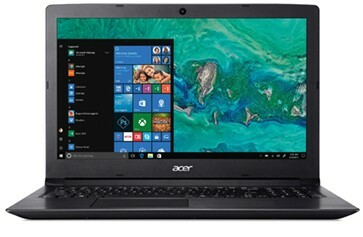 15,6 inch Laptop ASPIRE 3 (A315-53-56au). Intel® Core™ i5-7200U processor. Intel® HD Graphics 620. 4GB DDR4 werkgeheugen. 512 GB SSD opslag. WiFi AC/agn. Bluetooth. HD webcam. Windows 10 Home. USB 2.0, 3.0. en HDMI.